Add both luxury and extra space to your shower area with the innovative Zenna Home Adjustable Tension Curved Shower Rod. Made of rust-proof aluminum, the rod is sturdy and durable, and curves outward to add up to 5 in. of useful elbow room inside your shower. The rods brushed nickel finish adds visual appeal. Rod adjusts easily to fit shower spaces from 50 in. to 72 in. Add an elegant and luxurious look while also creating a more comfortable experience in the bath with Curved Shower Rods. 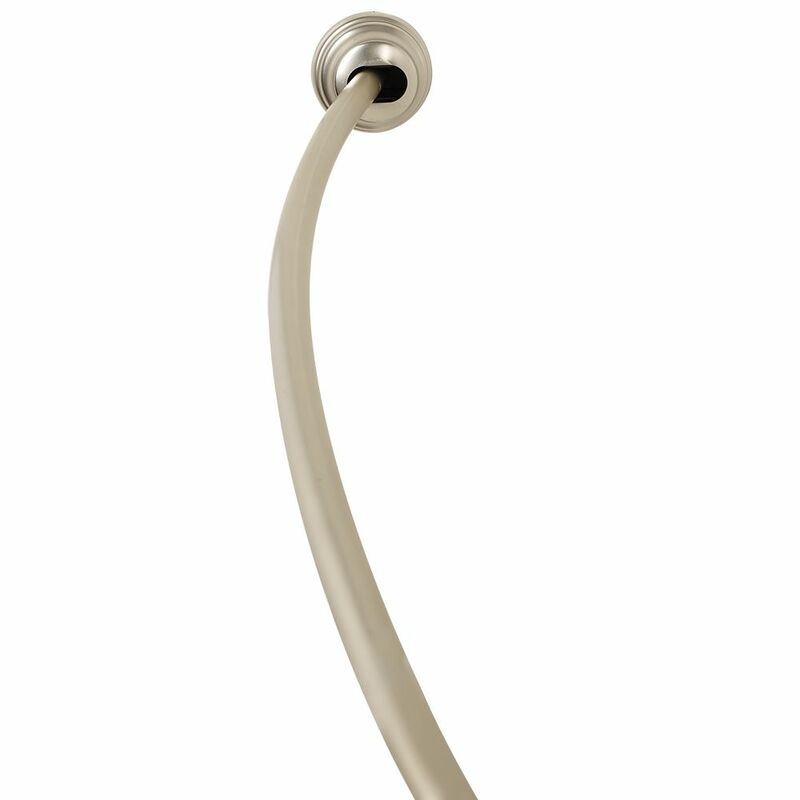 Gracious and uncomplicated style features give Moen Curved Shower Rods an ageless yet fashion-forward presence. Tailored yet relaxed, Moen Curved Shower Rods are an exercise in design balance. This lustrous collection works seamlessly with today's lifestyles. MOEN Inspirations Curved Shower Rods provide up to an additional 7.5 in. (depending on the model) of elbow room, allowing you to truly maximize your space. Curved Shower Rods add an elegant and luxurious look to any bathroom. The included decorative covers offer an additional stylish element while helping to conceal the mounting hardware. Tension Curved Rod - Brushed Nickel Add both luxury and extra space to your shower area with the innovative Zenna Home Adjustable Tension Curved Shower Rod. Made of rust-proof aluminum, the rod is sturdy and durable, and curves outward to add up to 5 in. of useful elbow room inside your shower. The rods brushed nickel finish adds visual appeal.